Im going up to Benoir lake this summer, and I was wondering if anybody knew anything about the fishing on Benoir Lake? Are you referring to the one north of Elephant & Baptiste? If so I have fished it a little. 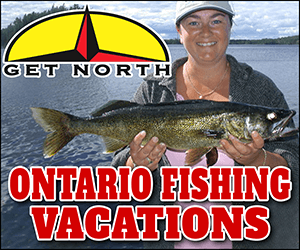 I did catch a walleye there once but have generally not had much luck. In addition to walleye it should have SM & LM Bass, pike and muskie. It is a very scenic lake wiht great sandy ares for swimming... you may want to head south down the York River toward Elephant Lake to do your fishing. Benoirs is a small lake with direct access into Elephant and Baptiste Lakes. If you have a boat you have about 30 kms of world class angling. Only time I fish Benoir is thru the ice for eyes.......its hit or miss. On softwater, I stick to elephant. Lots of fish, but I mainly target musky there........I do get into lots of bass and pike as well though. Mostly fishing the weed flats mid-lake. There are some good bass in there......TONS of pike now! You should really head to elephant......its not that far of a run. Right at the mouth of the river where it comes into elephant is great fishing. There are a lot of lily pads in the area where the York River flows into Elephant. Top water spoons and worms will work well for largemouth in these area. 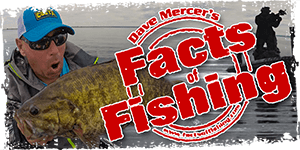 Spinner baits and crank baits in the deeper weed beds will produce a variety of species including largemouth. Weeds are the predominant feature of Elephant Lake, which is quite shallow. If you venture into Baptiste you will have much more variety of depths and structure including rocks, stumps, weeds. only ever fished baptiste in that chain... stick to perch patterned lures..
Benior Lake…a very small lake with a deep basin. It won’t take you long to cover the lake. Try York River between Benior and Elephant. The bends and pools get very deep in the river, try drifting livebait or jig/grub on the bottom, keep your line tight. It’s a little difficult not to spook the fish in the holes navigating around the obstacles in the river if you have a bigger boat. Did anyone mention ‘eyes? If you’re looking for quality not quantity. Good luck. P.S. Get there before the jet skis and jet boats. Any good spots in the actually lake itself?